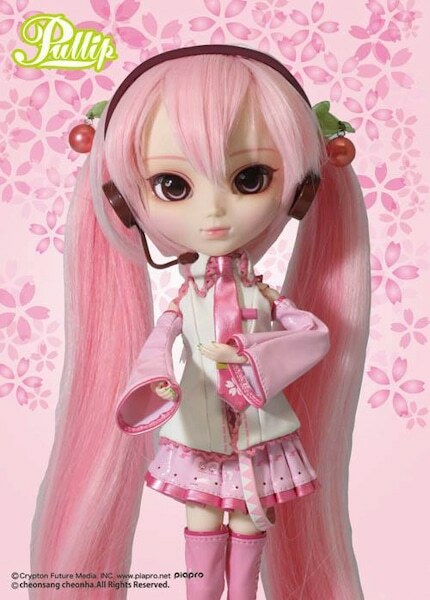 If you love Miku or even the color PINK, then you'll love Groove inc February 2014 release titled Pullip Sakura Miku! The pop sensation is waiting for you! Go to eBay to order her. 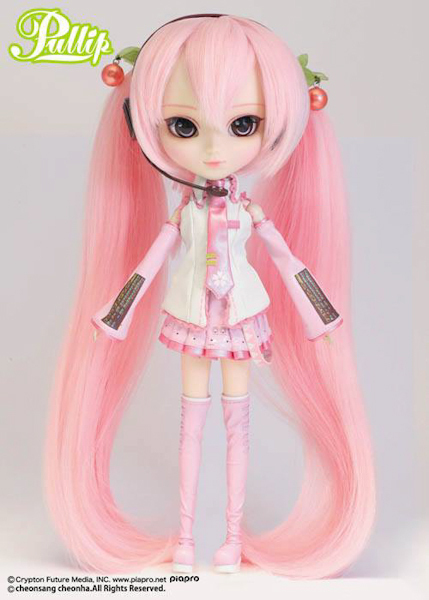 I have bought her for Hanami 2014, she’s really pretty and i get it she’s different from the first doll of Miku Hatsune. 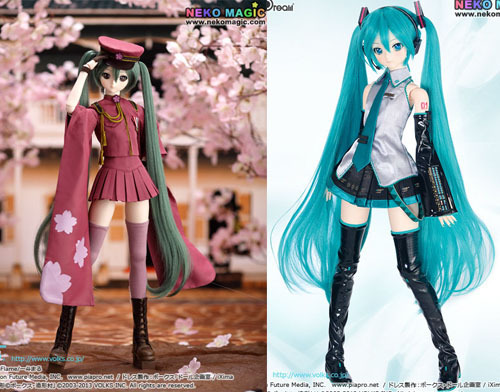 Even i prefer the original, Sakura Miku is a very beautifull and original doll of the Diva. The cherry’s hair barrette is nice and they re the emblem of Hanami. I bet she looked beautiful surrounded by Sakura blossoms. 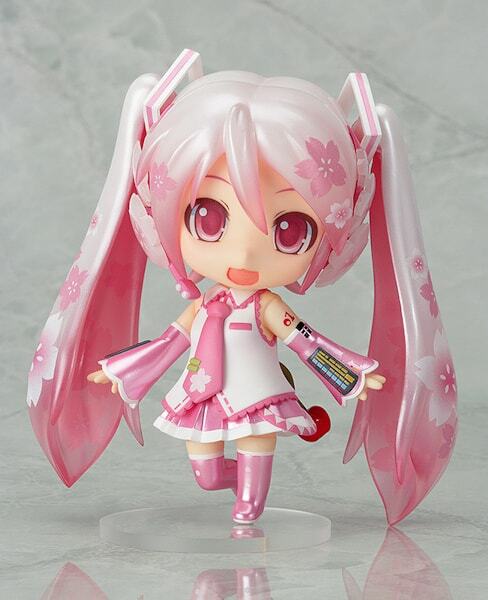 I love the Sakura Miku “character” (can I call that version a character?) but I honestly don’t like how they handled her on this doll. The character art and the Nendoroid are *adorable*, and I think that they missed some of that sweet cuteness when they adapted her to doll form. You know what I’d love to see? Someone taking the stock from this doll and putting it on a custom Yeolume. That’d be *adorable* (assuming that it fits?) and possibly closer to the original character design. 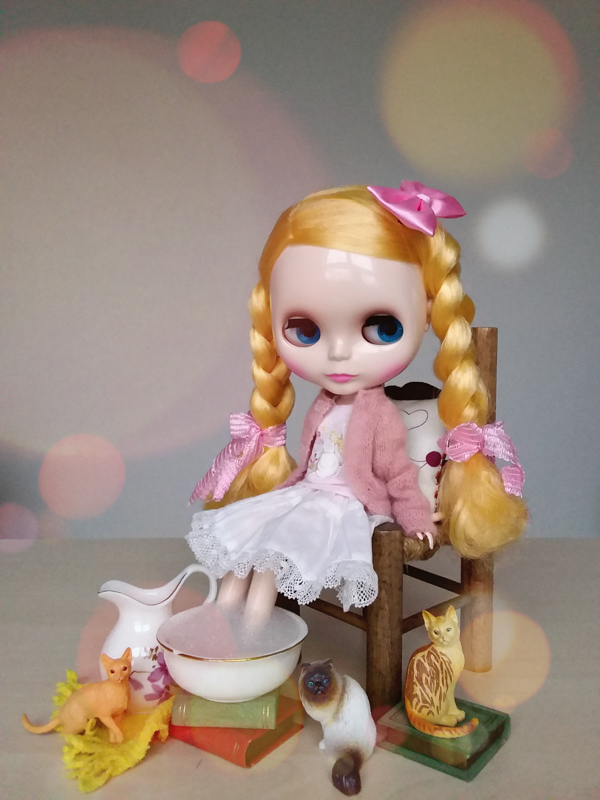 I recall that someone- I think it was Myufish?- was musing about the possibility of making a custom Dal of this character, perhaps using the Pullip doll stock… I’d *love* to see that, and would probably like it more than this release. I totally get it! You explained it perfectly. It’s the cuteness of Miku, that I feel is missing too! It’s Miku for crying out loud. You can place her in a burlap potato sack with her adorable twintails, knee high socks and boots and she’ll still look adorable (I saw this on I Love Lucy episode: Lucy Gets a Paris Gown, the other day). Another thing that you (and many fans) have pointed out is the price. For what you are getting it’s simply not justifiable (and that’s very hard for me to say especially since we are a doll retail shop as well) but how can the company expect small doll shops to sale something that simply isn’t worth that price? These words are becoming the fans’ outcry lately for these 2014 dolls. Thanks for taking the time to share your thoughts on Miku Sakura. Gosh I love her. I admit I was getting tired of Miku. But I love her. But that price…>_< BUT I agree I'm tired of seeing the same girl being redone. 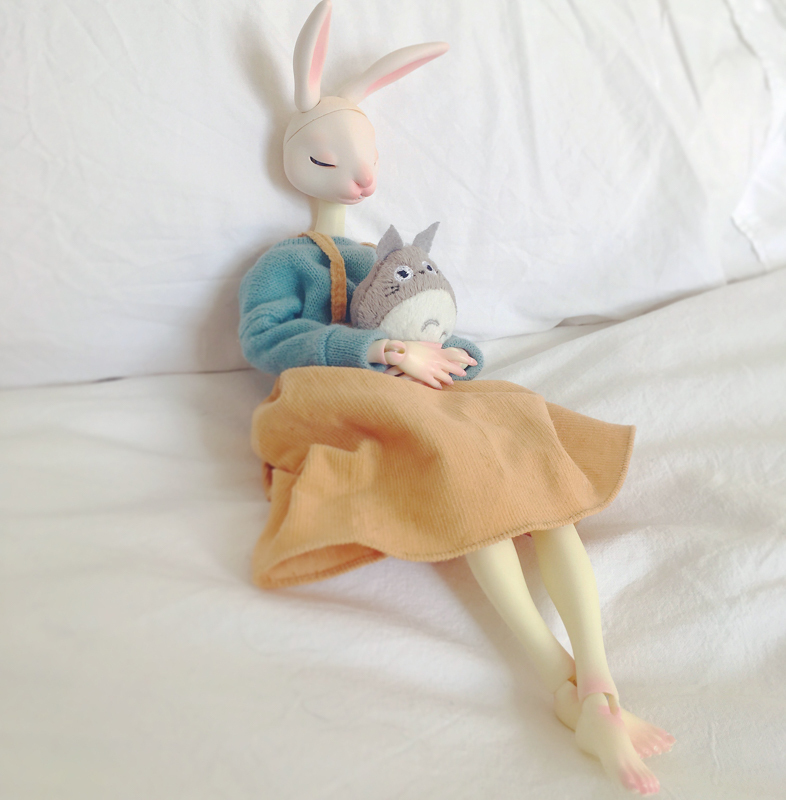 I am beyond tired of Alice and wonderland dolls. 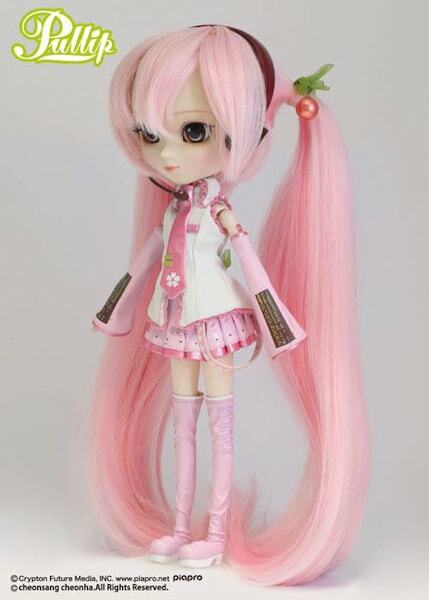 I had to do a double take because the original Pullip Miku came out in 2011 and she was priced at ¥13,000 (about $126.00 ) which is a total steal when compared to this price. I know inflation happens and YEN to USD conversion may not be at its best, but ¥18,900 is ridiculously high. Perhaps the US price will be lower. 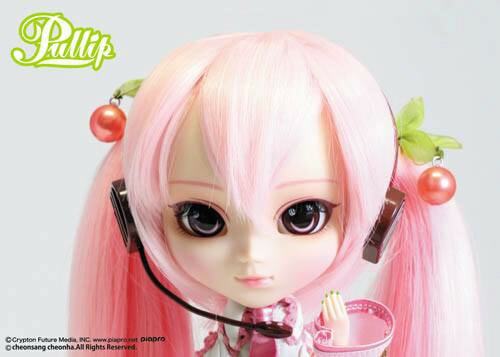 Pullipstyle never usually has extreme price like this. I personally really like her. Can I just add that she isn’t just a different colored version of Miku, though, and shouldn’t be treated as such. I’m glad to hear that you like Groove Inc’s take on Sakura Miku. Yes, I know Sakura Hatsune and Miku are two different styles. But unfortunately I feel that Groove Inc missed this important fact. 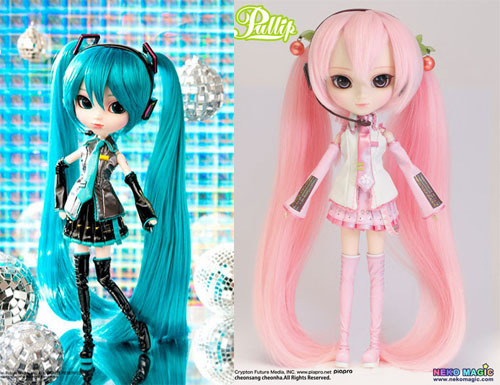 If you compare Pullip Miku and Pullip Sakura, there really is nothing separating them . . . expect the coloring and a few accessories. 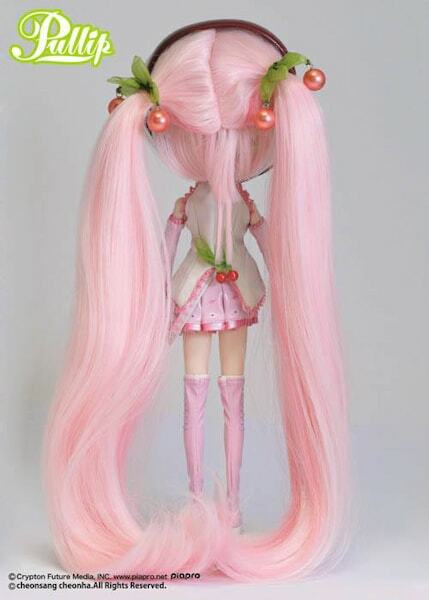 This is why I said I’m tired of rehashed dolls. 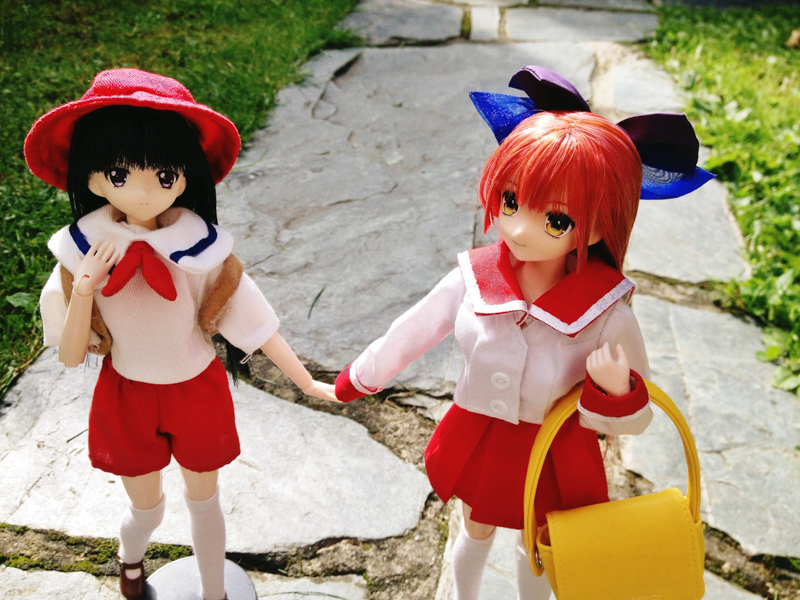 I would’ve loved to see some personally to differentiate the two, like you see in the figure market or even how Dollfie Dream designed their doll. There are tons of Miku’s yet each has their own style and personality. Don’t get me wrong, I adore vocaloid, but I’m tired of seeing only Miku. Like you said, this is the fourth version, and there are how many vocaloids to choose from? I will admit she is a cutie, and I’d love to have her, but I won’t be buying. 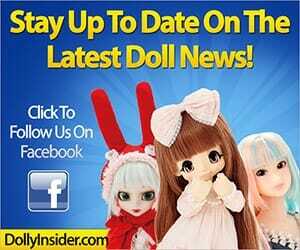 I know, I personally am just tired of rehashed dolls that are different color versions. I miss the originality and creativity we once saw from Groove. I hope they get back on track soon . . .